THE return of an old friend tonight, re-invented for the 21st century. ITV1’s new version of 1960s’ cult classic The Prisoner may not attract a massive audience, despite its primetime slot. But having seen the first episode three times, as well as later episodes, I’d recommend that if it seems like something for you – watch, and try and stick with it. 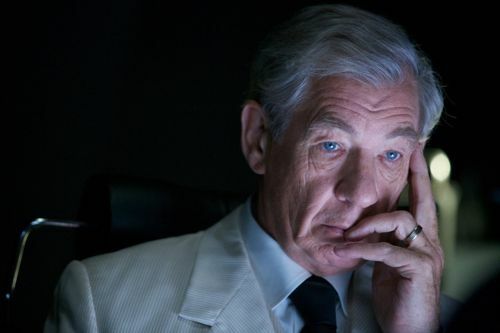 I was lucky enought to discuss The Prisoner 2010 over afternoon tea with Sir Ian McKellen, who plays Two. You can read the feature interview here. I was also invited along to the premiere of the first two episodes in London’s West End last November. Just as the six episodes in this ITV / AMC co-production were being broadcast in America. Last Wednesday night I went along to the BFI Southbank to see another “exclusive screening” of episode one in a cinema packed with fans. 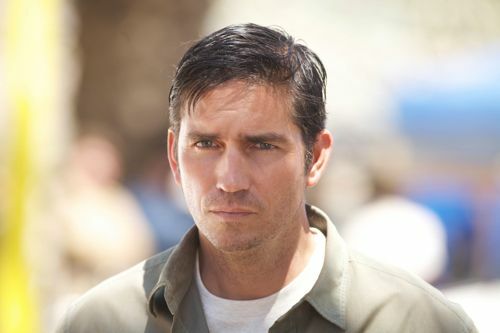 Followed by a Q&A involving American actor Jim Caviezel, who plays The Prisoner – Six / Michael. Also on stage was actress Hayley Atwell, who co-stars as Lucy / 4-15. Plus director Nick Hurran, executive producer Michele Buck, designer Michael Pickwoad and discussion chairman Matthew Sweet. Below is my full transcription of the BFI event. If you’ve come to this page ahead of seeing the first episode, you may want to bookmark to read afterwards. Unless you can’t wait. Otherwise it’s a bit of a long read but, hopefully, some of The Prisoner fans past, present and future might appreciate it. My own suspicion is that many critics will miss the point of this new series and not have the patience to persevere. But that, like the original, it will become a cult of its own, with its own history. 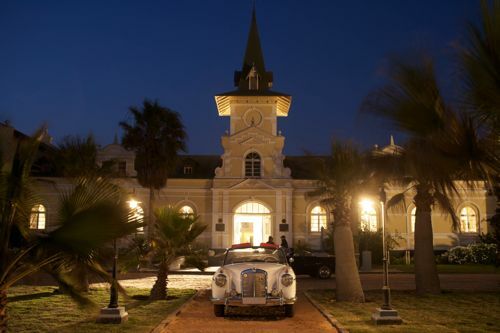 The Q&A covered quite a bit of ground, including discussion of Rover, Hayley’s very spooky mail delivery that same day and the extraordinary location of Swakopmund on the Namibian coast. And just how many clues you will probably miss on first viewing of episode one. A clip was then shown on the big screen of Patrick McGoohan’s original arrival in The Village – with Jim Caviezel turning around in his chair on stage to come face-to-face with his 1960s’ counterpart. Hayley Atwell: “It was very odd. It was extraordinary. We were there for about three or four months (including studios in Cape Town) and it felt like we were, in a way, kind of imprisoned as actors. As JIm said, we didn’t have the final scripts, so we were all very much working day to day, scene by scene. In a way, ironically, it actually meant that there was a real freedom within that, because it meant that as actors, it felt that we all had to be quite present with it. We all had loads of conversations and arguments about what we thought was going on and points of view from everyone’s character. I hadn’t actually seen the original. I was ‘minus one’ when it came out, so I didn’t feel like I had the pressure of any of that going on. But what was great about it, this particular feel of what we were doing, is that every character – and you’ll see later on – they’re long and three-dimensional. Everyone has a journey and a reason as to what’s going on and why they’re there. Particularly the women are a lot more rounded. And that was wonderful to play. “A very odd thing that happened today was…a year and a half ago I had a break of about two weeks, where I wasn’t working on set. So I flew back to London. The rest of the cast were gagging for some Sunday papers and some PG Tips and some Dairy Milk. So I sent a massive box. Two weeks later I fly back and it turns out the box didn’t arrive. We said, ‘That’s so weird, that’s so Prisoner, that’s amazing. 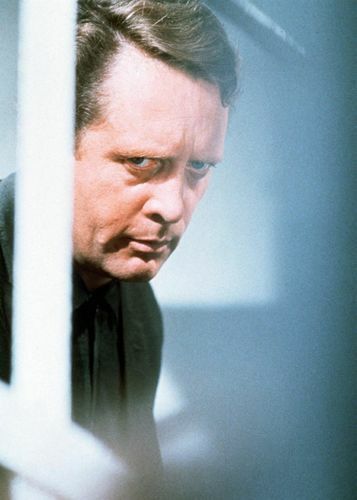 The Prisoner begins on ITV1 at 9.30pm tonight. 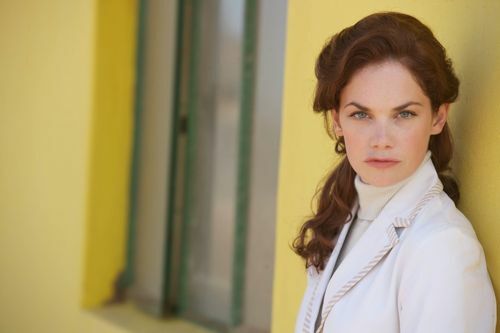 Posted in News and tagged BFI, Hayley Atwell, Jim Caviezel, Michael Pickwoad, Michele Buck, Nick Hurran, Patrick McGooghan, Ruth Wilson, Swakopmund, The Prisoner. Bookmark the permalink. No spoilers in this comment, for those of you who haven’t seen it. I watched these six hours way after they aired on AMC here, finally … before they were deleted from my Tivo, and as intrigued as I was with the visual and auditory style of the piece it left me wanting in ways the original didn’t. 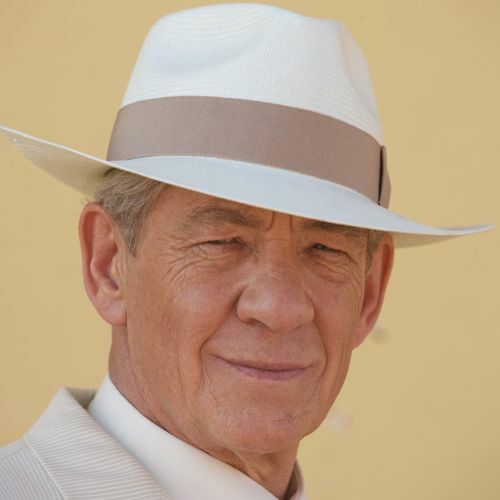 Likes … McKellen, Caviezel (despite his very loud … breathing), the women in the piece, Lennie James (who we know from the CBS series Jericho) the GLBT arc in the story. Dislikes … the setting (really doesn’t hold a candle to the Disney-esque village of the original), AMC’s ad placement during the run — including those teasy li’l “when we return to The Prisoner you’ll see this!” spots. It’s been so long now since I saw it that’s all I can remember. I’ll be interested in seeing viewing numbers of the ITV run, though. Not sure exactly how many Americans actually remember the show … I bought the DVD box set a couple years ago on deep discount from Amazon. That’s a heck of a lot of work Wylie. Thanks. “From what I recall this new show began life described enthusiastically by the PR machines as a remake, but over time, as production and more particularly post-production continued (seemingly endlessly) the story changed and almost as soon as it was released to choruses of derogation in the USA itself, the PR people completed their shift to claim this was not a remake but a *re-imagining*…. ie. not the same show at all, but “a *riff* upon the original” is a popular phrase I’ve seen used. Having watched Episode One again last night, you can actually see the joins. 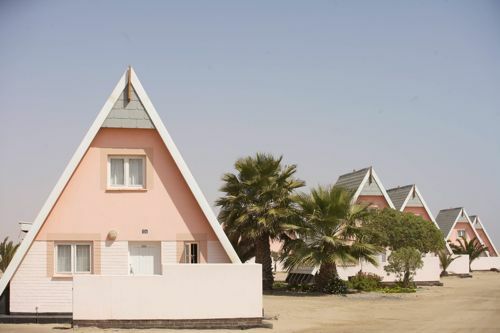 All the Namibian footage seems to suggest one plot but shoe-horned all around it is the *enigma*……… meaningless jump-cuts that just confuse and annoy rather than intrigue. It seems that the show was shifted in its direction and has two or three *plots* – not as diverging story-lines but just all jumbled up together. Watching it for the second time, I could *see* the joins, where they have changed their minds and tried to use footage to patch a different story together from what that footage was originally intended to do. This leads to strange moments where the *emotional pattern* of the Six character makes no sense. It is like those soap characters whose personalities change – except this guy changes personality almost mid-scene………. I would say the show has been re-imagined in post-production. I suspect Jim Caviezel has been heavily criticised because his part has been chopped up and switched around to try and project something that at the time he *acted* it, it was intended to *mean* something else entirely. Poor Jim. The first episode also carried almost gratuituous prisoner references, that seemed to have almost nothing to do with the (revised) plot and maybe Episode Two, having paid those dues, will start making more sense and develop some consistent narrative. In the advert break itv4 gave a rather clumsy clue however, when a promo for the second episode next Saturday intoned something like, “Have you ever had a dream that you were not quite sure *was* a dream?….. 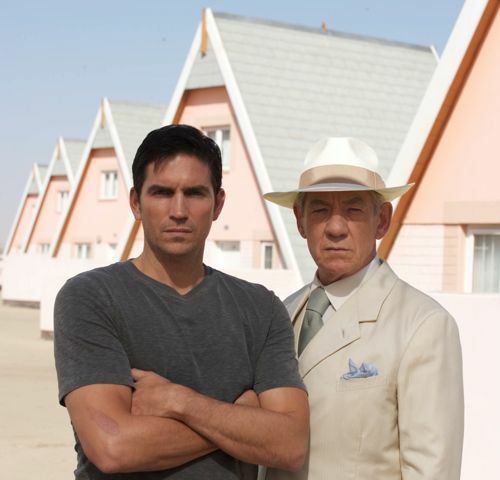 The Prisoner… next Saturday on itv1………..